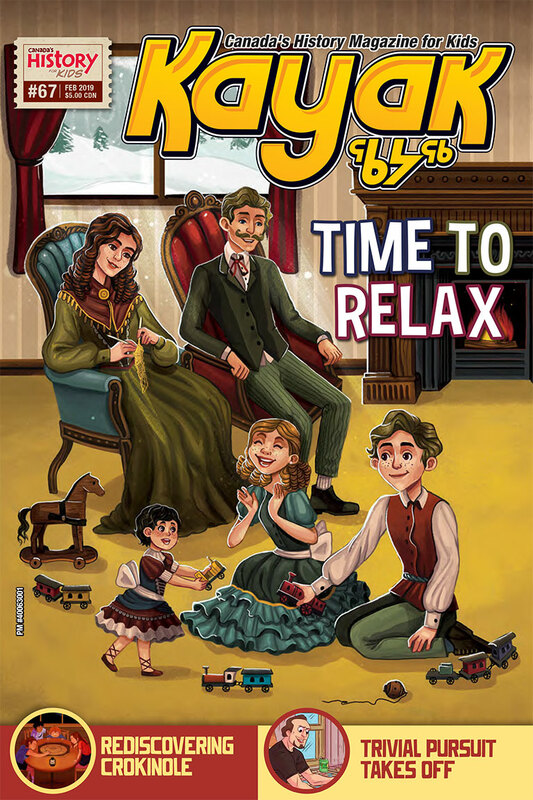 See what’s in the February 2019 issue of Kayak: Canada’s History Magazine for Kids. First of all, you’re lucky to have spare time at all, compared to kids in Canada’s past. But, from simple toys to schoolyard games, kids have always been good at finding fun things to do. And of course, Canadians love to get outside, to camps and cottages and cabins although we haven’t always paid attention to whose land we were camping on or what our boats and cottages were doing to the environment. When it comes to inside fun, we feature two truly Canadian board games: the traditional favourite crokinole and Trivial Pursuit, which caused a frenzy in the 1980s. They’re both still popular today. Take some time to relax and read the February Kayak, and then find some friends or family and go have some fun! This special digital issue celebrates some of the amazing women who helped make our country what it is today. This issue explores what Canada gained and lost when we built our ribbon of steel. From passenger trains, to subways to the SkyTrain or tourist steam railways, we look at all kinds of trains.